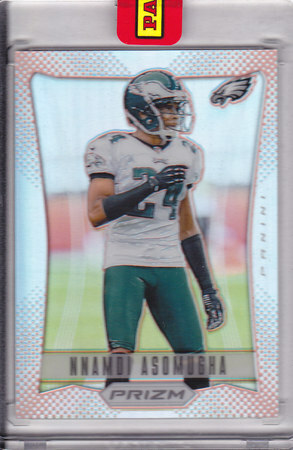 2012 Panini Prizm Football Pylon Parallel #148 Nnamdi Asomugha 1/1 nrmt+-mint. Sealed with Panini Sticker. Comes with Prizm Pylon Factory Box.